VANCOUVER, BC – Strathcona Beer Company has announced the release of a new limited edition beer to mark its 2nd anniversary. This Triple India Pale Ale is absolutely packed with Double Dry Hopped Galaxy, Enigma, Mosaic and Citra with a base of Maris Otter, Bohemian Pilsner, golden oats, flaked wheat and fermented with a special blend of secret yeast. Robust flavours of passion fruit, citrus and raspberry. 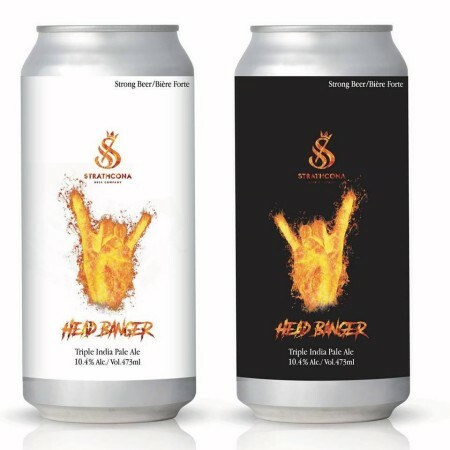 Head Banger will be released tomorrow (November 16th) in the Strathcona taproom and retail store, with 473 ml cans to be available in select private liquor stores next week.